I love a hearty plate of pasta as much as the next foodie. But sometimes you need to shake things up from the go-to meaty red sauce that tends to make it’s way into the kitchen. This recipe is all about flavor and simplicity. The basics for this fresh take on chicken and pasta include lemon infused chicken paired nicely with freshly chopped chives and butter. So good and so easy to make, you’ll thank me for the leftovers later. 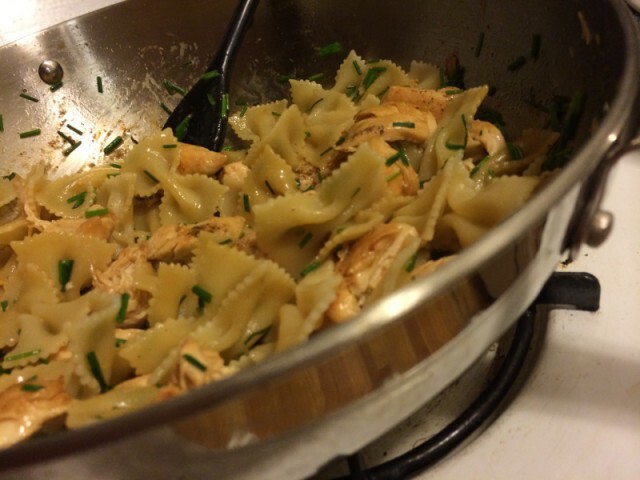 To start cook up two cups of bow tie pasta (as directed from your favorite brand) in slightly salted boiling water. If you’re looking to have leftovers or share with your favorite people, toss in a bit extra to savor the goodness later in the week. 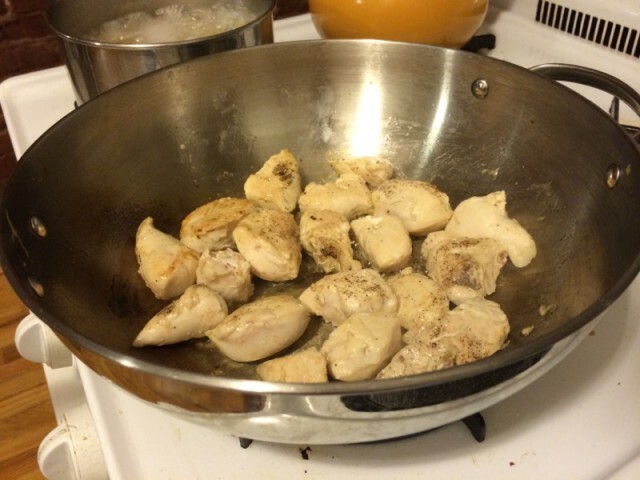 While the pasta is cooking, chop your chicken breast into evenly sized portions. Add some olive oil to the bottom of a sauce pan and start to cook over medium heat. 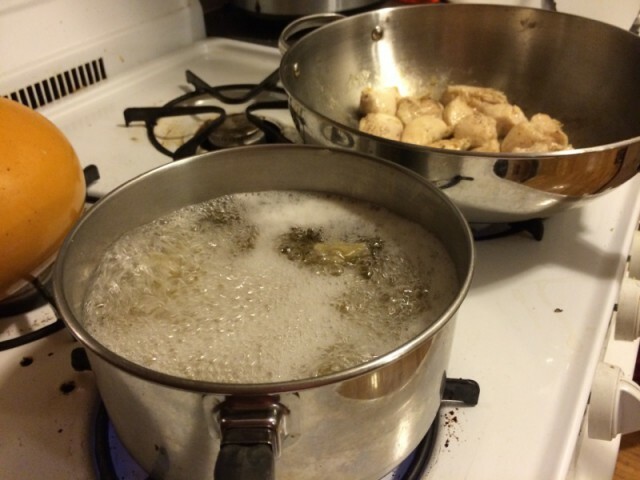 Splash a generous amount of lemon juice to keep the chicken juicy as well as infusing the flavor as it cooks. Add salt and pepper to taste. 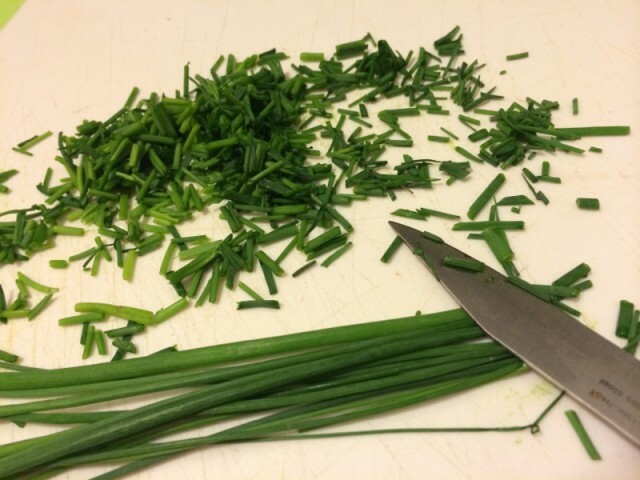 While the chicken cooks, chop your fresh chives into smaller pieces (not super fine) and keep an eye on the bow tie pasta. Set aside for now. 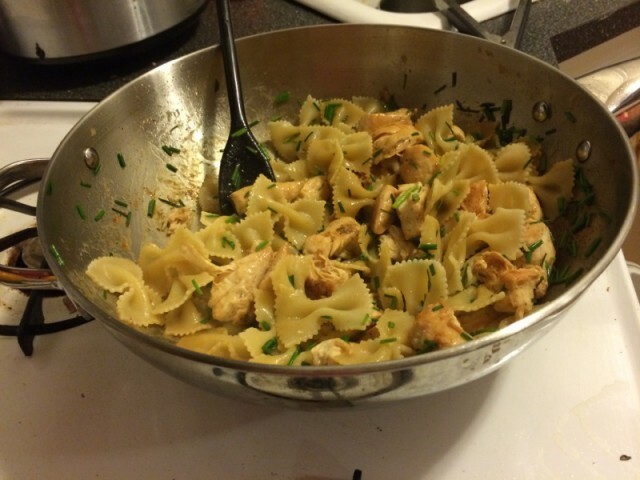 Once the chicken is lightly browned, toss in the bow ties pasta (that has already been drained) into the pan. 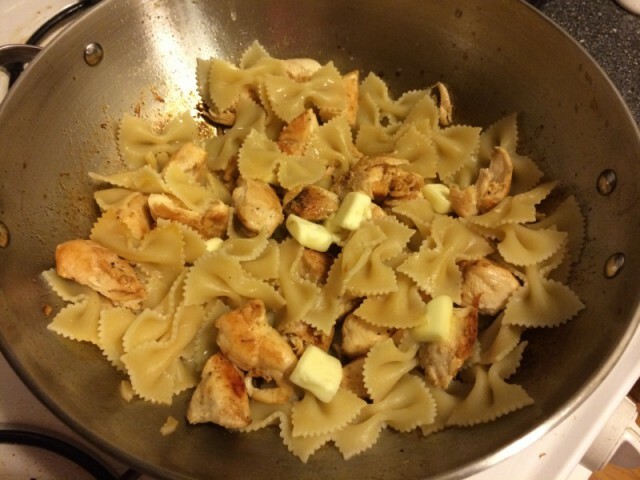 Take the 2 tablespoons of butter and cut into smaller pieces to toss in (to the pasta and chicken). Let it melt. The stove should now be on lower heat, just enough to keep the dish hot, but not overcooking. Basically, this is kind of like a poor man’s version of Beurre Meunière — which is a common French sauce consisting of browned butter, lemon, parsley and thyme. We just love the flavor of browned butter and citrus. 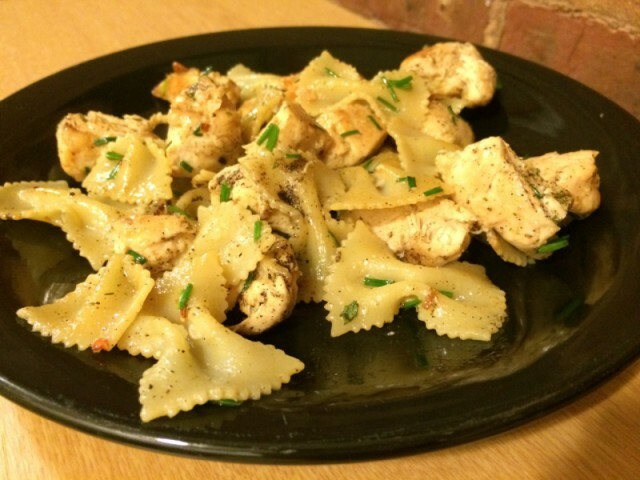 It gives the pasta and chicken such a creamy and light taste without needing an alfredo-type sauce. That’s it! Taste your dish before serving and feel free to add another splash of lemon juice or sprinkle a dash of crushed red pepper flakes. We like to do both. 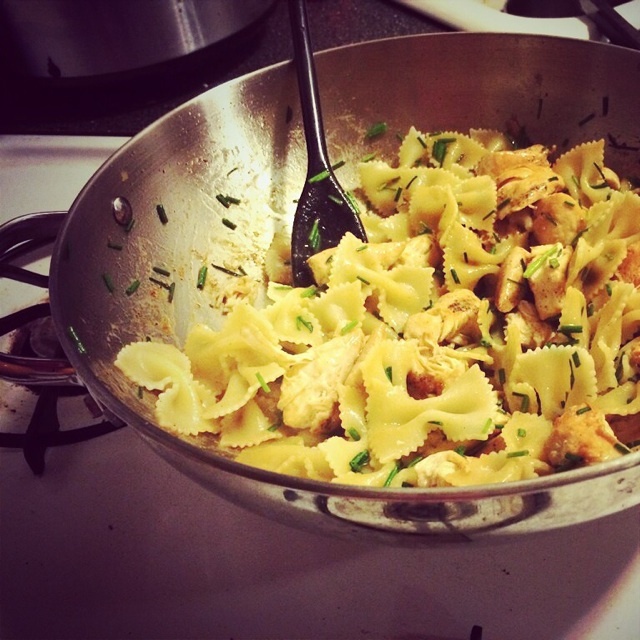 Tags: Beurre Meunière, butter, CHICKEN, Chives, dinner, fresh, lemon, Pasta. Bookmark the permalink.